Monofilament line is very harmful to the environment: it takes 500 years to biodegrade, and frequently entangles birds and other ocean and bay dwellers. Surfrider Foundation South Jersey’s Monofilament Fishing Line Recycling Program is underway, with the support and partnership of TackleDirect. 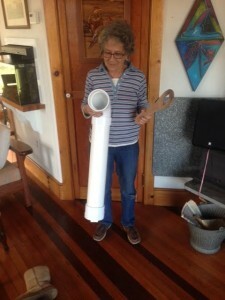 Surfrider Foundation South Jersey volunteers build monofilament recycling receptacles to be installed at popular fishing locations and launching ramps, where fishermen can discard their unwanted monofilament line. 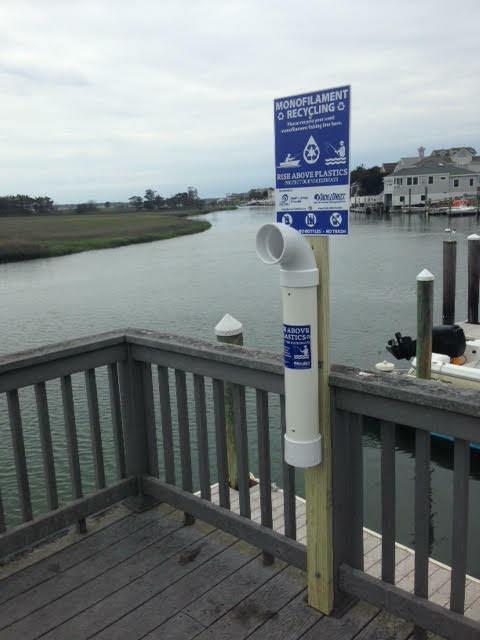 The receptacles will look like the one in the photo below, with educational signs asking fishermen to protect our waterways by responsibly recycling their unwanted monofilament line. Surfrider Foundation South Jersey volunteers maintain and empty the containers regularly; and the used line is sent to a facility where it will be recycled. If you are interested in volunteering for this project to empty or install the bins or are interested in obtaining a monofilament recycling receptacle for your local fishing spot or marina please contact Surfrider Foundation South Jersey’s Vice Chair Bill at vicechair@southjersey.surfrider.org. All current locations can be seen in map below.